We are been very lucky to be able to indulge in some warm breakfast the past few weeks curtsey of Ready Brek. 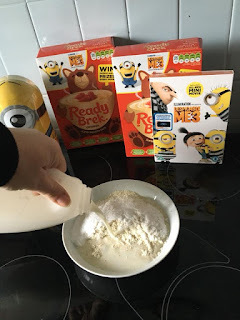 Ready Brek is a great way to start the day in a healthy way and provides a nutritional morning meal for the whole family., giving long lasting energy to the kids at school when they need it the most. I add the milk to the Ready Brek then microwave for an quick and easy warm breakfast. Adding some fruit or some choc shot. The possibilities are endless with different things to add to the base of your Ready Brek to give it a bigger boost of filling power. Even my autistic son has been enjoying Ready Brek in the morning, he generally hates porridge I think due to the texture as Ready Brek is smooth he has enjoyed it more and loved adding the fruit along to it. 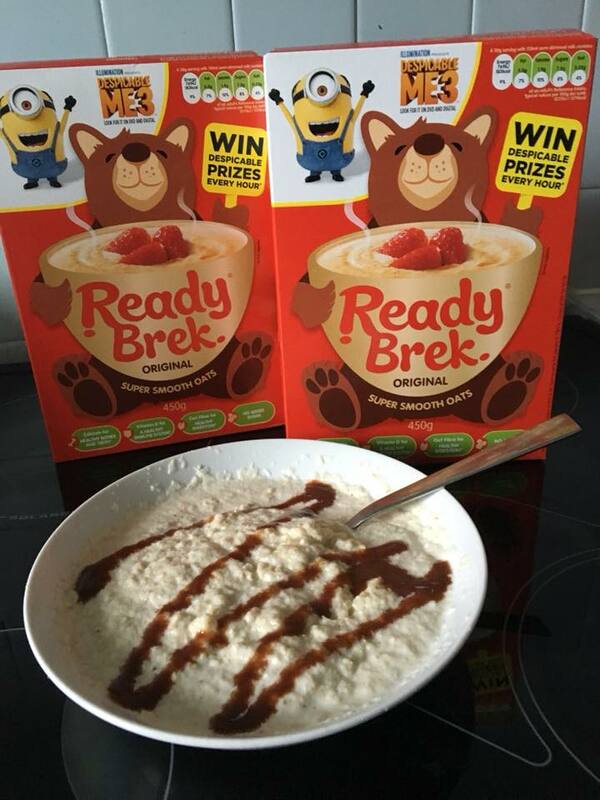 Ready Brek now comes in flavours flavours original, chocolate, honey or seriously oatey. From the 18/09/17 till the 14/01/18 look out for promotional Despicable Me packs that you can win prizes every hour with a special unique code printed on the inside. 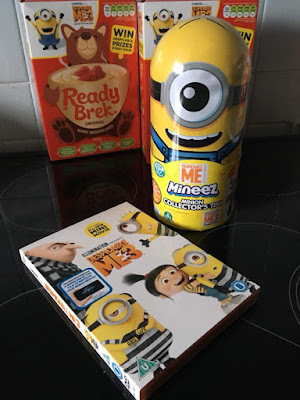 To celebrate the release of Despicable Me 3 dvd, which includes an all new mini movie. 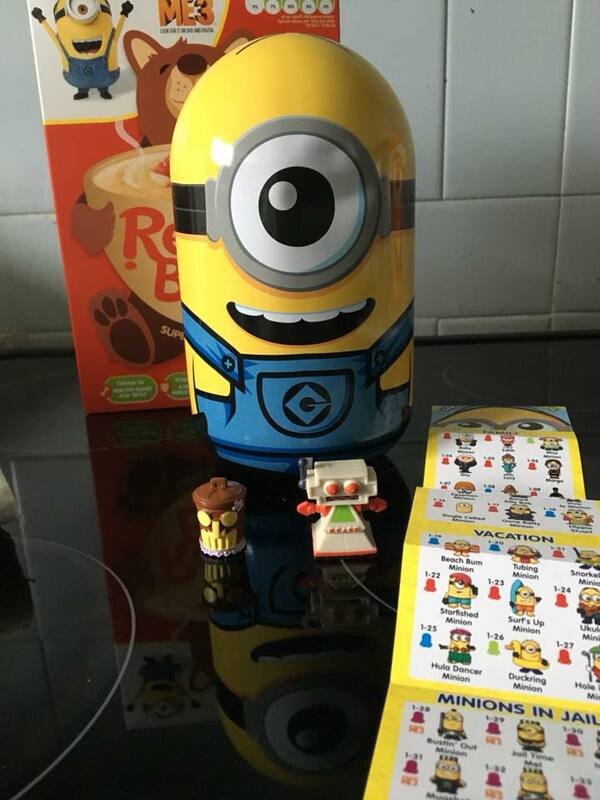 Check out the Mineez Minion collectors tin with two special figures inside and a cool tin to keep them in from Moose Toys. Pop open the tin to find 2 hidden Mineez inside, open the blind bags to see who you have. There's over 75 to collect! Included in the tin is an exclusive Clive The Robot we also received Tiki Trash Can too. Perfect to start off our Mineez collection, look out for the golden Minions and the Ultra rare Unigoat.